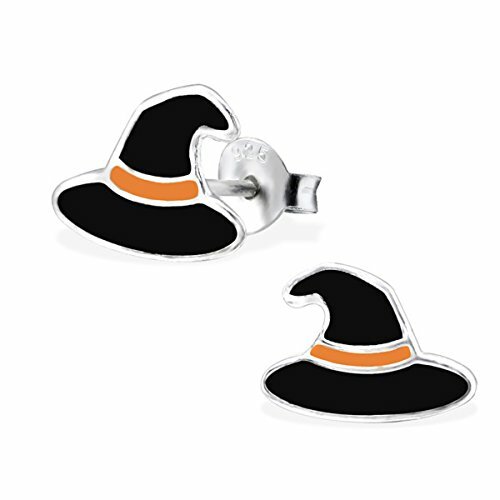 Whether you want to dress up in full costume this Halloween or just want to accessorize, sterling silver is always a nice choice because it is both elegant and affordable. 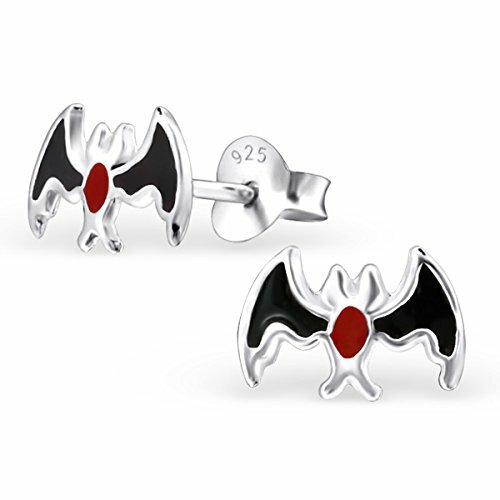 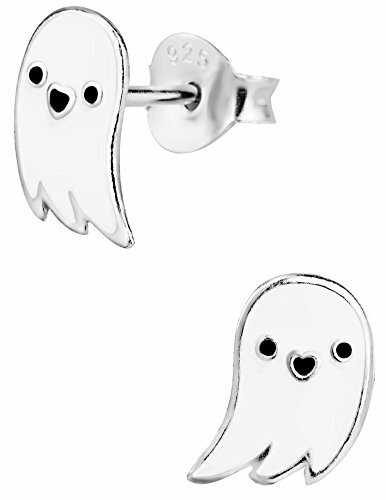 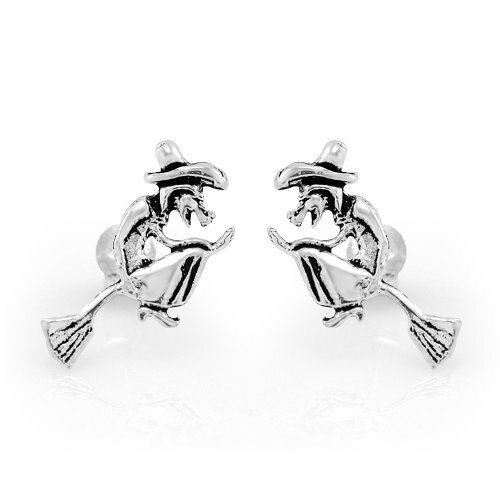 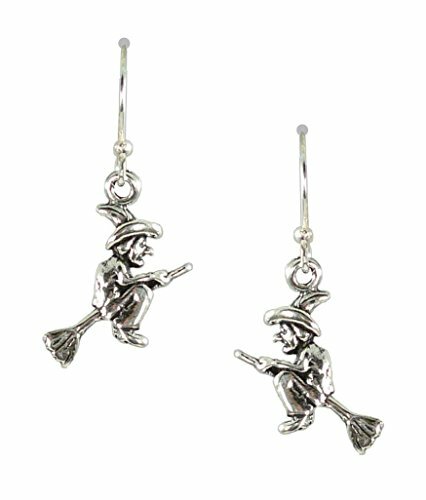 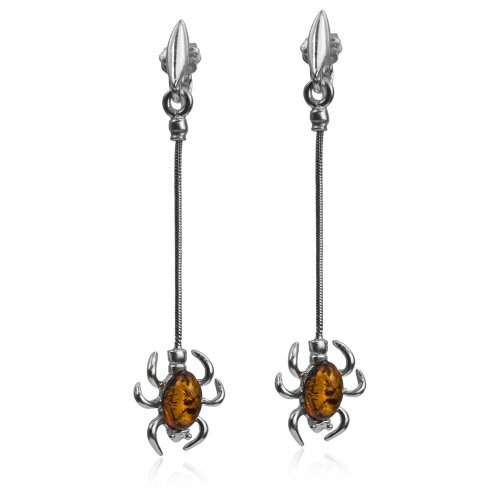 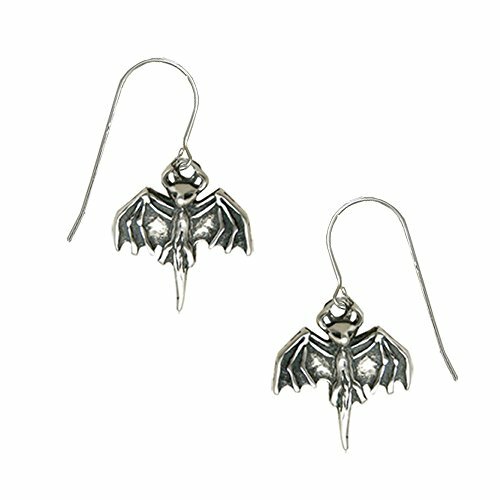 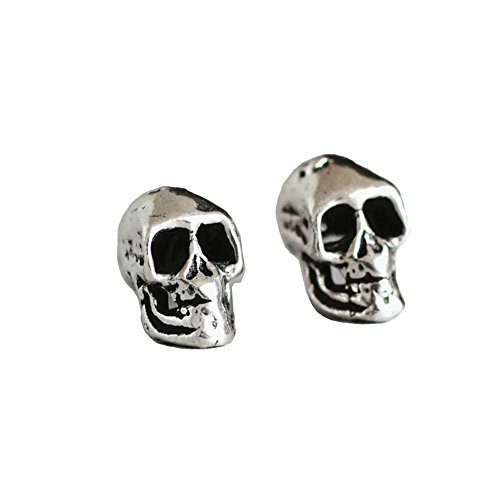 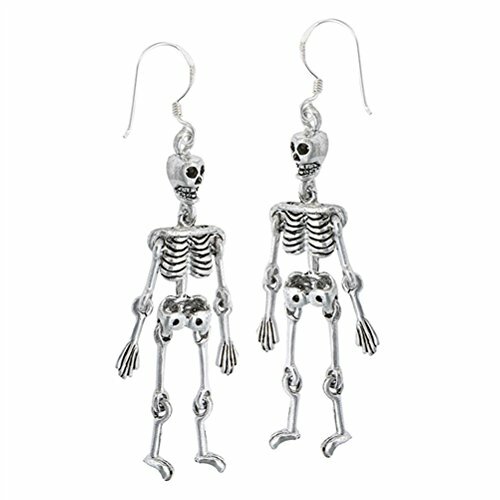 And these sterling silver Halloween earrings are sure to be popular all throughout the month of October. 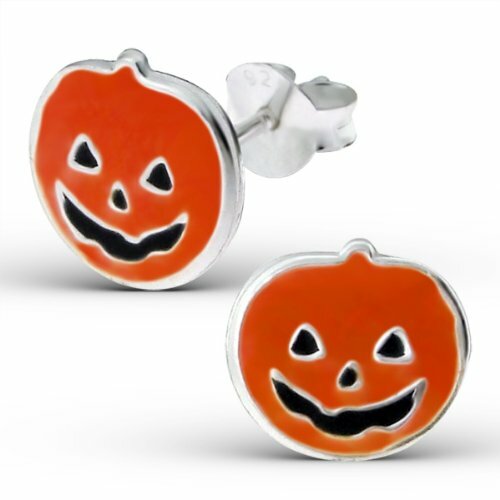 Included on this list are jack-o-lanterns, ghosts, skeletons, black cats and more. 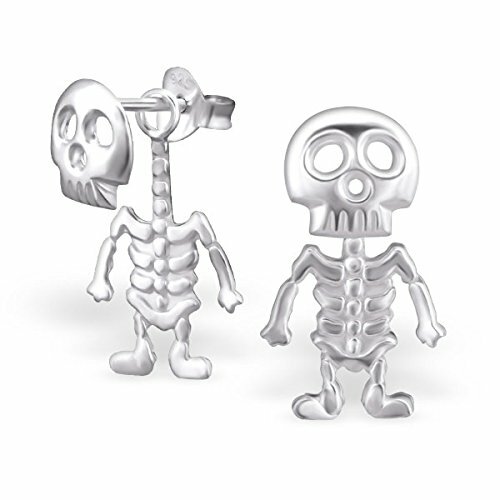 Some of these are scary, some are downright cute. 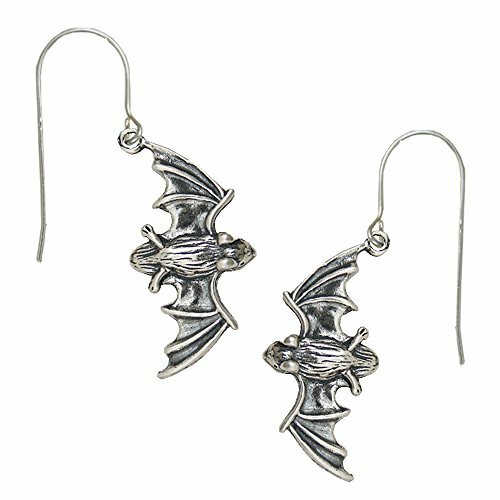 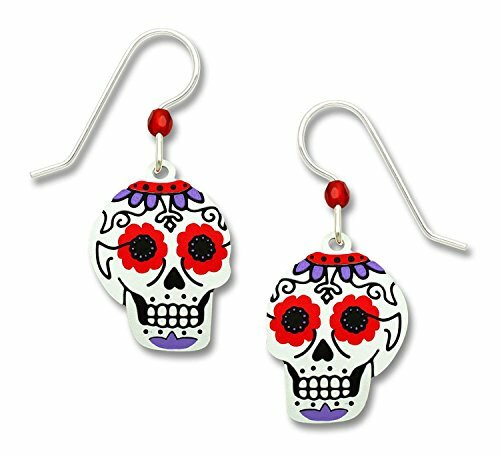 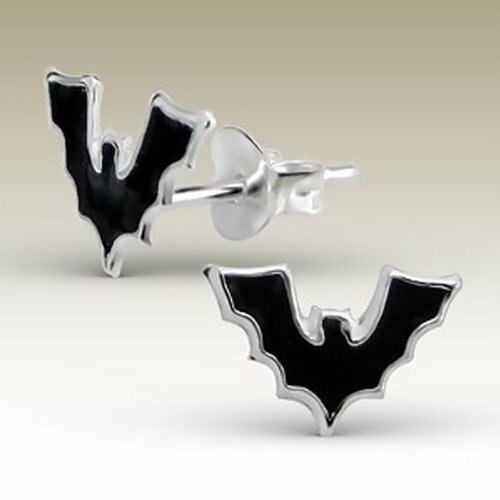 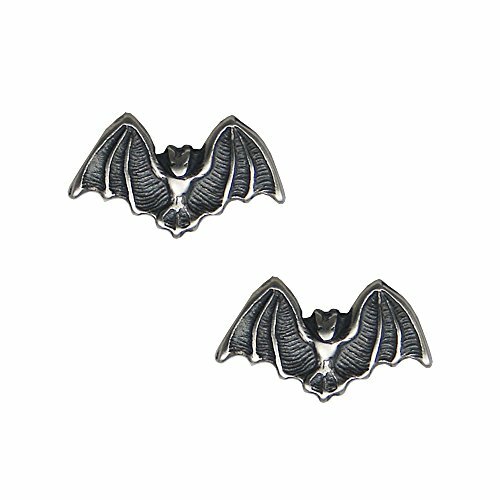 These earrings would also make great gifts for anyone who loves Halloween. 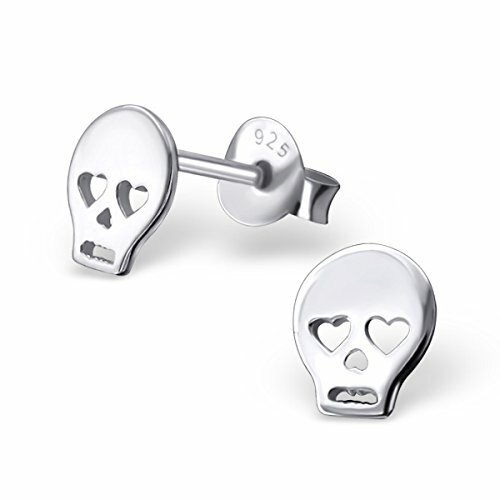 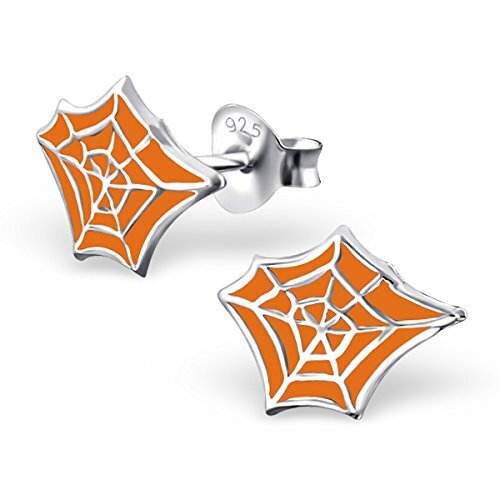 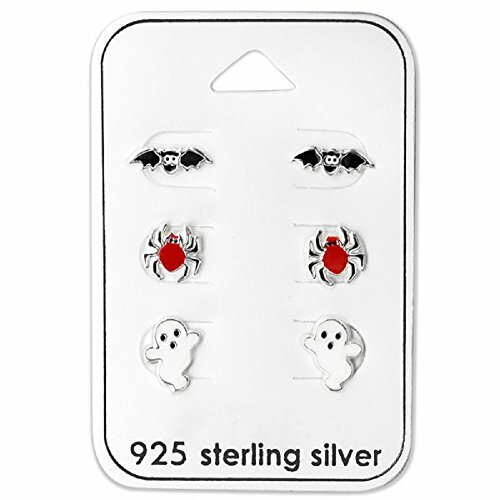 Below you will find a nice variety of sterling silver pieces including Halloween stud earrings and Halloween dangle earrings, for both kids and adults. 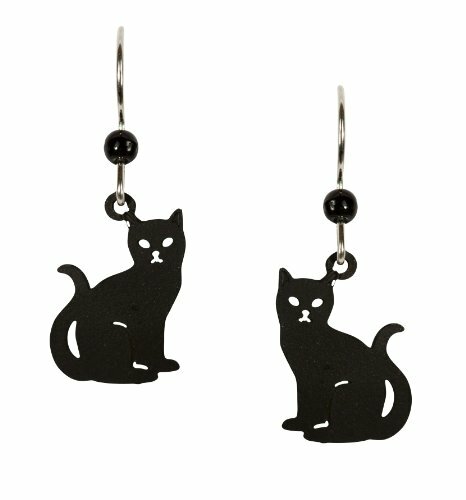 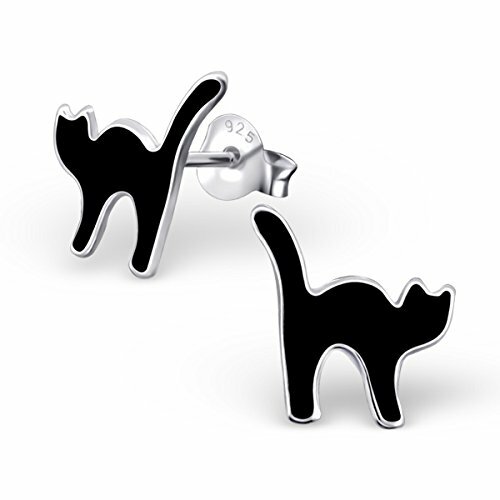 Black cat earrings are perfect for Halloween or any time of the year. 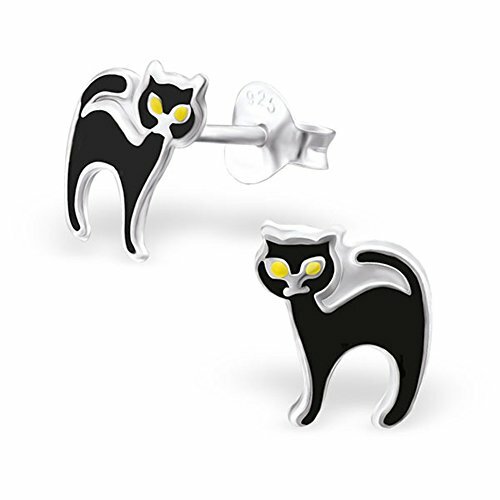 They also make a nice gift for anyone who loves black cats and would also look great with one of these black cat t-shirts. 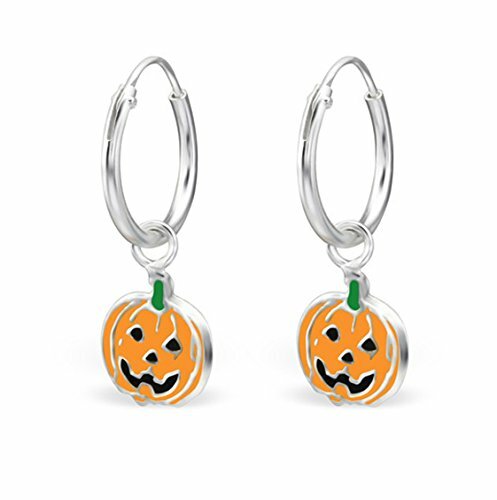 These adorable sterling silver pumpkin earrings perfect for young and old alike. 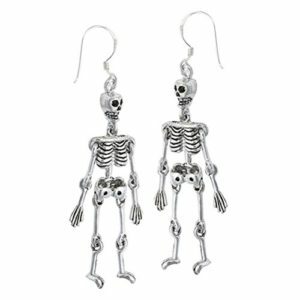 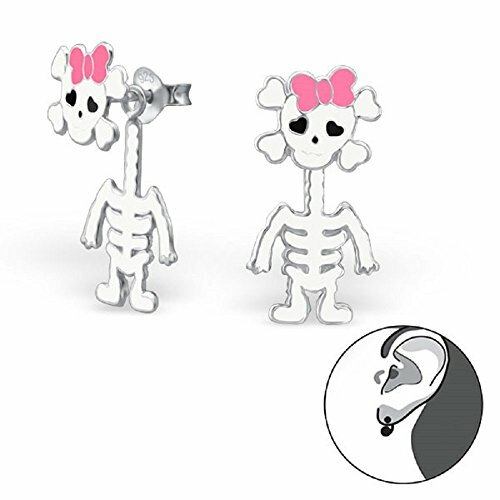 From movable dangle Halloween skeleton earrings to skull stud earrings, these sterling silver Skeleton earrings are sure to be enjoyed year after year. 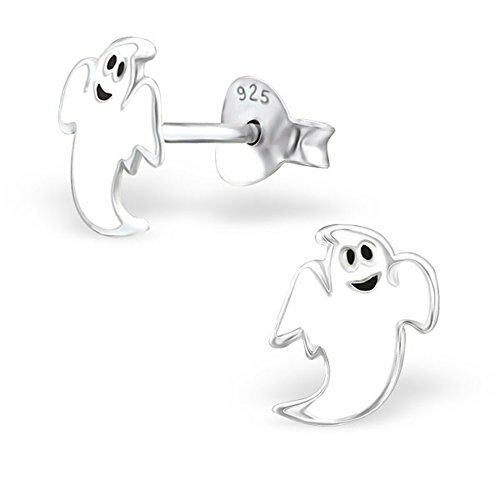 Here are a few more fun sterling silver Halloween earring sets that are available. 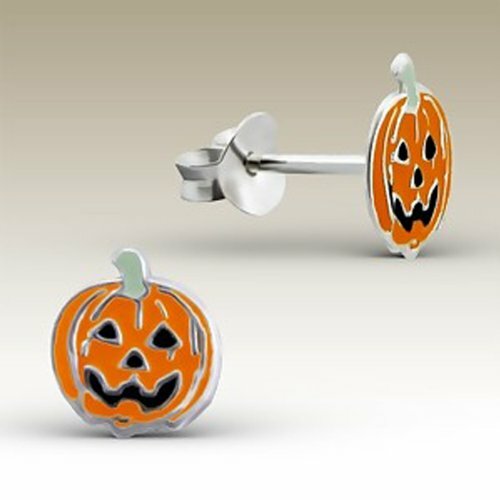 From costume jewelry to precious medals, there is a variety of Halloween jewelry to choose from including necklaces, bracelets, charms and more. 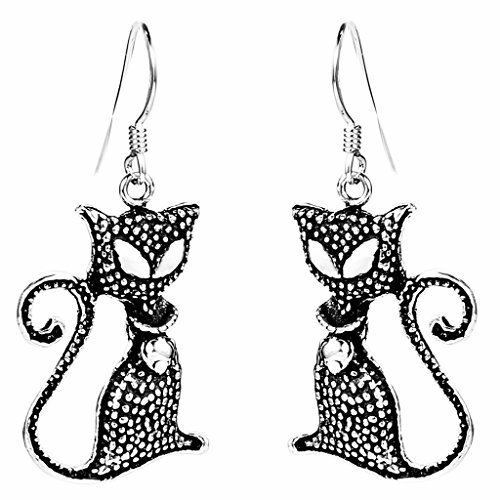 This entry was posted in Jewelry & Accessories and tagged black cat Halloween earrings, Halloween bat earrings, Halloween dangle earrings, Halloween jewelry, Halloween pumpkin earrings, Halloween skeleton earrings, Halloween stud earrings, sterling silver Halloween earrings on September 8, 2016 by Halloween Inspired.